Asheville Business Blog: Montford Park Players presents "Peter Pan"
Montford Park Players, an Asheville theatrical tradition, is proud announce their upcoming production of the family classic Peter Pan, by J.M. Barrie. All performances will be held at the Hazel Robinson Amphitheatre at 92 Gay Street in the heart of Asheville’s historic Montford District, from August 4th through September 2nd, on Friday, Saturday and Sunday evenings at 7:30pm. This performance like ALL of Montford Park Players’ shows will be absolutely FREE to attend. Full of action, adventure and fun, Peter Pan tells the well-known tale of Peter, the boy who wouldn’t grow up, and his adventures with the Darling children, Wendy, John and Michael, in the ever-magical Neverland. There they meet the nefarious Captain Hook, Tinkerbell the fairy, the Lost Boys, pirates, mermaids and other characters you’ve come to know and love. The play has all of the epic battles, flying and magic from all of the versions, from Disney to Spielberg, that have been produced over the 110 years since it was first performed for a live audience. Peter Pan has a huge cast of over thirty actors. Many of them are quite young and brand new to the theater world and even more of them taking their first spin on the Amphitheatre stage. Young Mars Mignon takes on the role of Peter, with Sarah Holt, Brendan Nickerson and Aidan Short taking on Wendy, John and Michael, respectively. You can also catch MPP regulars David Mycoff as Captain Hook and Darren Marshall as his first mate, Smee. 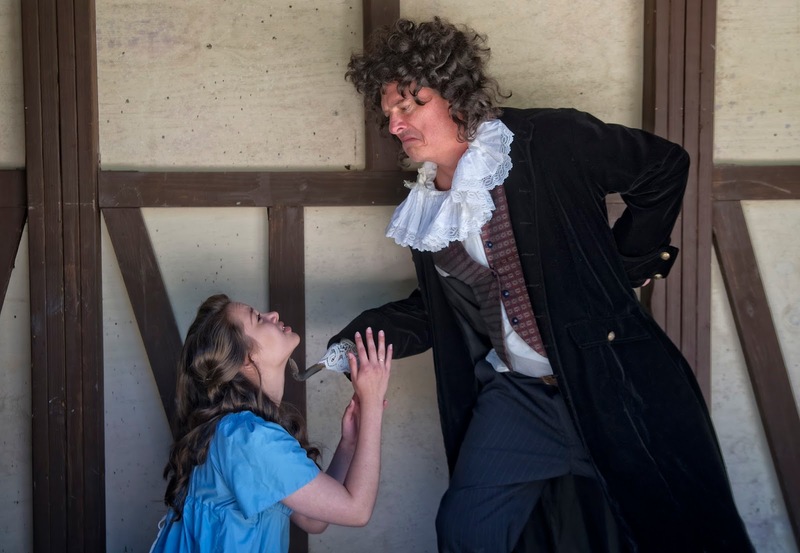 Additionally, an hour before the performances on August 11th, 12th and 13th, you’ll be able to catch MPP’s summer camp of teens, The Montford Moppets, performing their own version of Macbeth.